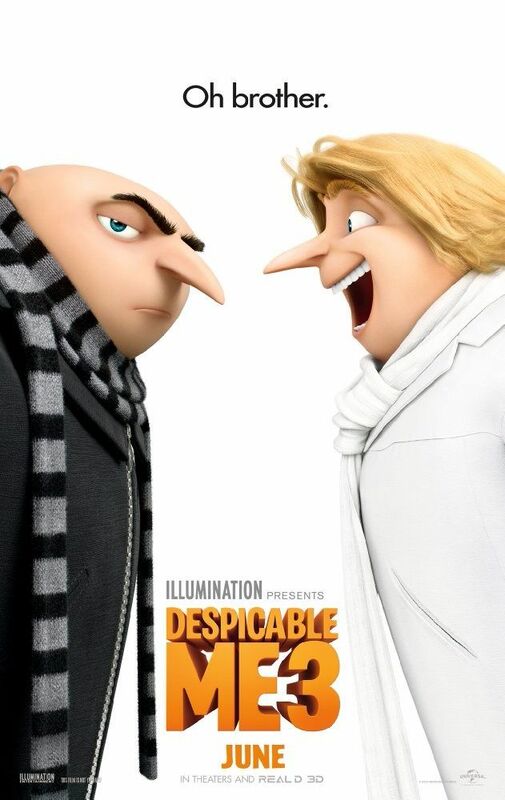 Former villain Gru is now an agent for the Anti-Villain League (AVL). He and his partner/wife Lucy are sent to foil the plans of Balthazar Bratt, a former child star turned evil. Gru manages to stop Bratt from stealing the world's largest diamond, but is unable to capture him. As a result of failing to capture Bratt, Gru and Lucy are fired from the AVL by its unreasonable new director Valerie Da Vinci, following the retirement of Silas Ramsbottom. Gru and Lucy reluctantly tell their children, Margo, Edith, and Agnes, of their termination, but assure them they will find new jobs. Most of Gru's Minions leave Gru when he refuses to return to villainy despite losing his job. Meanwhile, Lucy struggles to adapt to her new role as the children's new mom. The next morning, the family is approached by Fritz, the butler of Gru's cheerful twin brother Dru, who lives in a distant country named Freedonia and longs to meet him. Gru is shocked to learn he has a twin. He confronts his mother, who reveals that when she and her husband divorced, they agreed to keep one child each. The family decides to travel to meet Dru, and they are surprised at his immense wealth, which Fritz attributes to their pig farm business. Meanwhile, the Minions are arrested for trespassing at a talent show set. Bratt manages to steal the diamond again, intending to use it to power a giant robot and destroy Hollywood as revenge for the cancellation of his show. Read more on Wikipedia.